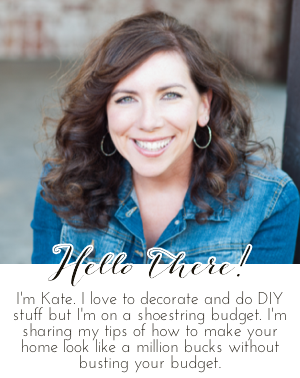 Chic on a Shoestring Decorating: Flaunt it Friday 231! Have any of you started getting out your Christmas decor yet? I can't believe it is already November! No Christmas stuff out yet but I will be busting it out before Thanksgiving. The season is just too short so I'd like to enjoy it for a little longer than the short time between turkey day and Christmas, plus it's a lot of work to get it all out. But I enjoy it. Putting it away on the other hand, not so fun. Hi Kate, thanks so much for hosting the party. As much as it's tempting I haven't put out the Christmas decorations yet. Whatever I've DIYed so far for the holidays I've put away until December. So hard because I love decorating for the holidays!